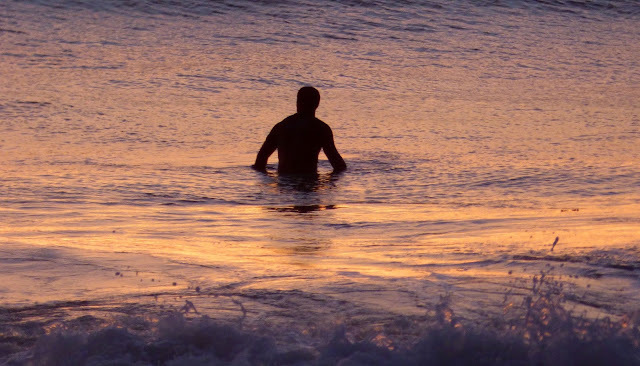 The California Coastal Act ensures that the public has the right to enjoy a day at the beach, but according to news reports, including this article in the Los Angeles Times, some members of the Coastal Commission—the agency created by the Coastal Act to protect the coast—have reportedly sold out to developer interests and are attempting a coup. All photos @ 2016 S. Guldimann, unless otherwise noted. So many key environmental issues have been in play in the first weeks of 2016 that it's hard to keep up without a scorecard, but the biggest news story here in Malibu is the revelation that development and energy industry lobbyists are reportedly working to get California Coastal Commission Executive Director Charles Lester replaced with someone less committed to upholding the Coastal Act and more amenable to massive development. In the January 20 Los Angeles Times, reporter Tony Barboza wrote: "Members of the California Coastal Commission are moving to fire its executive director, touching off a fierce debate over the commission's recent shift in favor of more development along the state's 1,000-mile shore." The article in the L.A. Times suggests strongly that the move to get rid of Lester is coming directly from Governor Jerry Brown and his commission appointees. That would be ironic, since Brown signed the California Coastal Act into law in 1976. "The move to oust Lester, a low-key but conservation-minded attorney who has headed the agency since 2011, is being led by pro-development members of the panel, including Gov. Jerry Brown's four appointees, said people familiar with the matter who requested anonymity because they were not authorized to speak publicly," the L.A. Times article states. The coastal zone generally extends just 1000 yards inland from the mean high tide line, but in significant coastal estuarine habitat and recreational areas it reaches inland to the first major ridgeline or five miles from the mean high tide line, whichever is less. 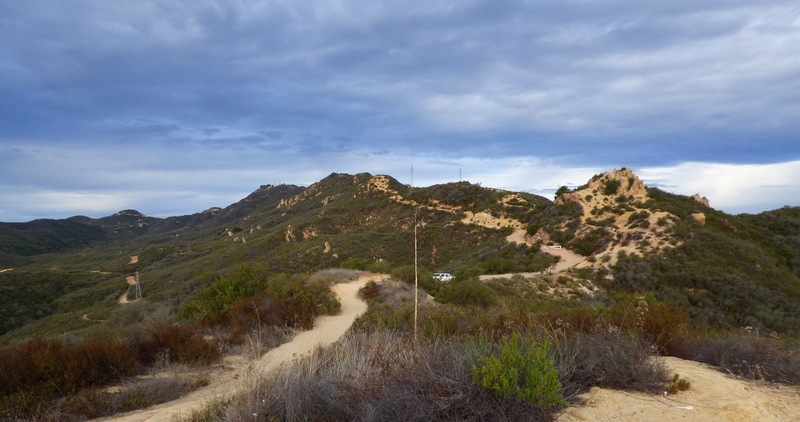 In Malibu, the coastal zone includes much of the Santa Monica Mountains, and it's a major reason why areas like this portion of Corral Canyon are parkland and not golf courses and country clubs like the one Bob Hope was going to build here in the 1980s. Surfrider Foundation spokesperson Stefanie Sekich-Quinn told the Times that the move is "a power grab in an attempt to undermine the integrity of the coastal program, gain control over an independent staff and make the commission more developer-friendly without any public accountability or transparency." 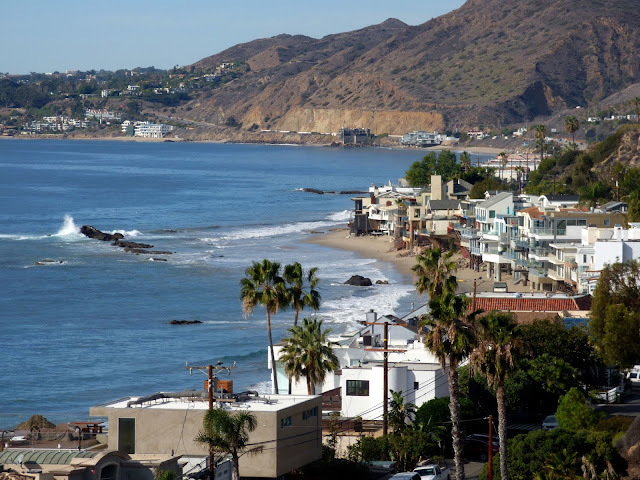 "It's about turning control of the coast over to development interests," Longtime Malibu resident and former Coastal Commissioner Sara Wan told the Malibu Post. The California Coastal Commission's mission is officially "To protect, conserve, restore, and enhance the environment of the California coastline." Ensuring public access to the coast and habitat conservation is the Coastal Commission's prime directive—something some commissioners appear to have temporarily forgotten. Although this drama is being played out on the state stage, it has a direct and significant impact on Malibu, where the Coastal Commission is often the final arbitrator on challenging development and access issues, and has been a key part of the battle to restrain out of control development and preserve public open space. It's not the first time development interests have tried to oust the Coastal Commission's executive director, but previous attempts have rarely been quite so blatant. 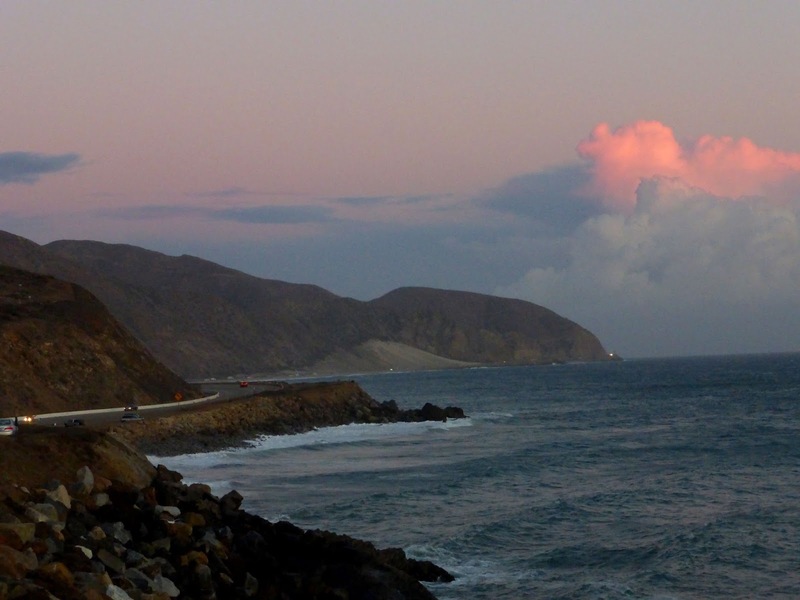 The California Coastal Commission was established by the Coastal Act, Proposition 20, in 1972, and later made permanent by the Legislature through adoption of the California Coastal Act of 1976. 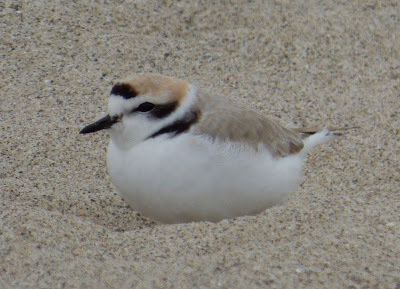 Protecting endangered and threatened coastal species like this snowy plover is another major commission responsibility. Developers and energy industry lobbyists are far from being endangered species and are not supposed to receive special consideration. The agency plans and regulates the use of land and water in the coastal zone—the entire California seashore 1000 yards inland from the mean high tide in urban areas, and as much as 5 miles inland in biologically significant areas, including coastal mountain ranges like the Santa Monicas. All development activities—construction of buildings, division of land, and any plan that changes land use intensity or public access to coastal waters, requires a coastal permit from either the Coastal Commission or the local government. Here in Malibu the CCC weighs in primarily on beach access and residential development issues, but the commission has broad powers that include all development activities along the coast, including major ports like San Pedro. In Malibu, the city council responsible for drafting a Local Coastal Program for the new municipality in the 1990s, dug in their heels and refused to cooperate. 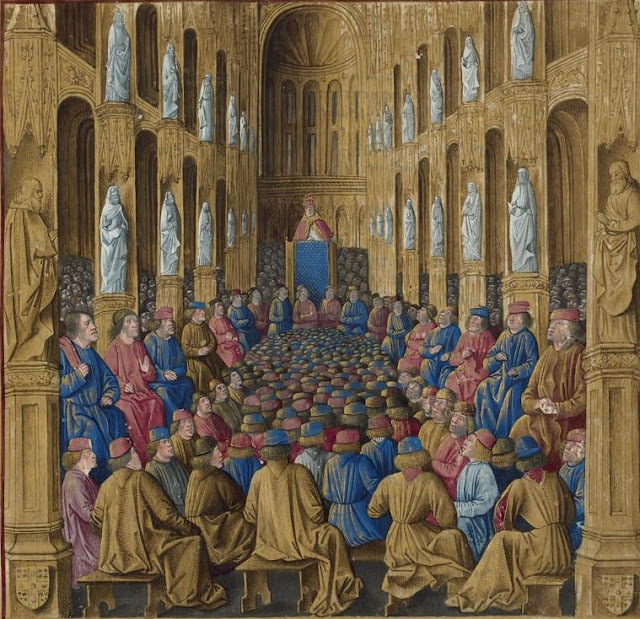 The commission eventually drafted a plan for us, but most governments opt to develop their own LCP, which is then submitted to the commission for certification. Once an LCP is in place, a city can issue its own coastal permits, but projects in the appealable coastal zone can still be appealed to the Coastal Commission, a tool often used by activists and neighbors to contest a controversial project as a a court of last resort. The Commission is quasi-judicial, and is supposed to be independent. The twelve voting members are appointed, four each by the governor, the Senate Rules Committee, and the Speaker of the Assembly. Half of the voting members are locally elected officials, and half are appointed from "the public at large." Three additional ex officio (non-voting) members represent the Resources Agency, the California State Transportation Agency, and the State Lands Commission. The current roster can be found here. Every month, the commission and its staff, and all the project applicants and their legal counsel and consultants and lobbyists, and the activists opposing their projects and their experts and advisors and lobbyists, and the local officials and their staff, and all the concerned members of the public, gather in one of the coastal cities for the monthly meeting, moving up and down the coast throughout the year. It reminds the Malibu Post of the medieval court on progress across the kingdom or the empire, only much less grand. Meetings take place in city halls or hotel conference rooms, and instead of rich brocades and jewels, it's business clothes and smartphones. 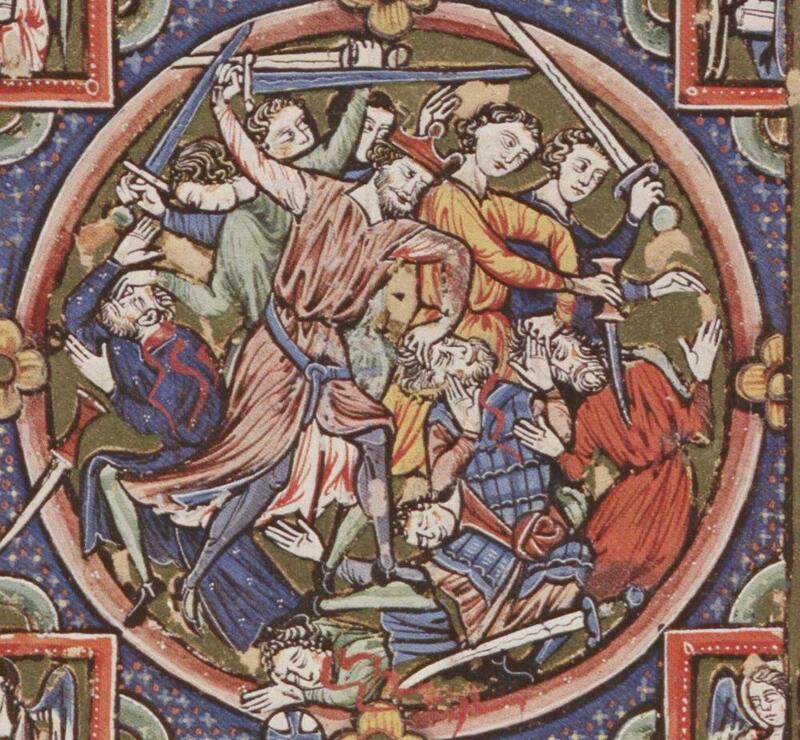 Unfortunately, if the Los Angeles Times article is correct, the situation at moment resembles a different aspect of medieval life. Image: 1225-1249, France. While the commission makes the decisions, the commissioners rely heavily on their staff to review plans, and make findings and recommendations. They also rely on the public to bring issues before them, through appeal or public comment. Although executive director doesn't sound important, it is. This is the person who steers the ship and makes sure it follows the course set by the Coastal Act, the law that governs the commission. According to the Coastal Commission website, The Coastal Act includes specific policies that address issues such as shoreline public access and recreation, lower cost visitor accommodations, terrestrial and marine habitat protection, visual resources, landform alteration, agricultural lands, commercial fisheries, industrial uses, water quality, offshore oil and gas development, transportation, development design, power plants, ports, and public works. That's a lot of power, and it is power that is intended to be used to protect coastal resources and ensure that the public has access to our coast. Because, thanks to the grassroots effort that gathered the signatures and passed the Coastal Act, the California coast belongs to the public, not to the corporate interests and wealthy individuals who would otherwise monopolize it. It's not a perfect system by any stretch of the imagination, but it helps. 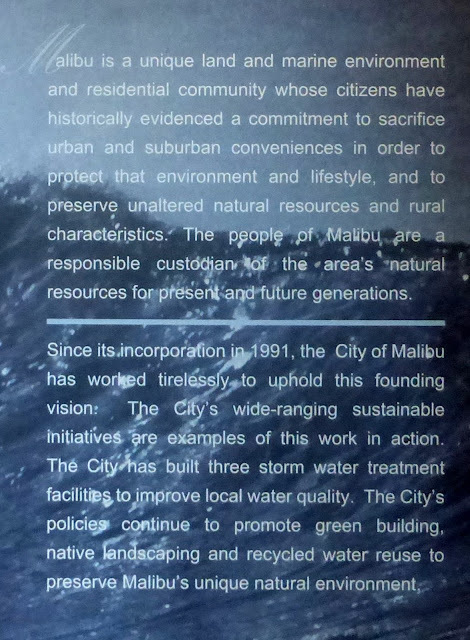 Anyone who doubts that should take a look at Malibu's future in the alternative universe where the Coastal Act didn't pass. Here's a glimpse, courtesy of a 1970 Los Angeles Times article that proclaims "Urban Sprawl Closes in on Malibu Isolation!" A 1970 Los Angeles Times headline warns of a future that mercifully never fully came to pass, in large part because we were able to pass the Coastal Act. "A population of 150,000—12 times what is is now—is planned for the Malibu area," the Times author reported. "With it will come the traffic, school and other problems which plague the more populated sections of the county." 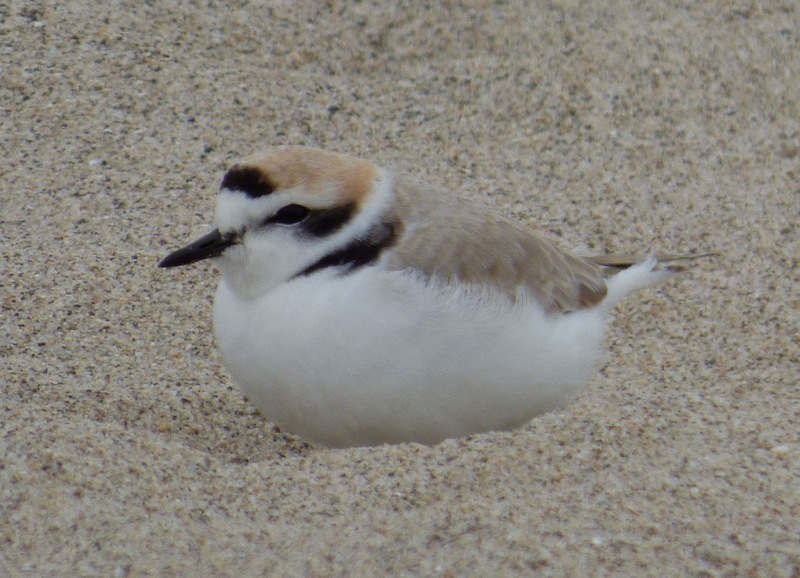 The article points out that of the 26 miles of coastline from Ventura County to the Los Angeles city limits, only "about six are publicly owned although not fully developed for recreational usage." The Coastal Commission, and its executive director are supposed to be committed to upholding the Coastal Act. Their purpose is to prevent any more of the coast from being transformed from the scene in this photo to the one below. In Malibu, much of the ugliest development slipped through in the late 1980s, when the Coastal Commission was still finding its direction and before our community was successfully able to break away from the county and incorporated. We're still living with the aftermath of that era. It's a reminder that we need checks and balances, and a fair hearing when a problematic project needs to be appealed. 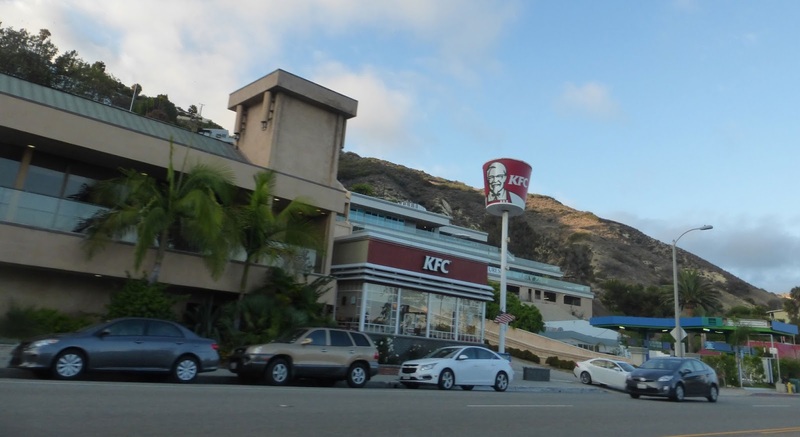 "A heavy demand—other than residential—is being placed on Malibu's coastline," the article states. 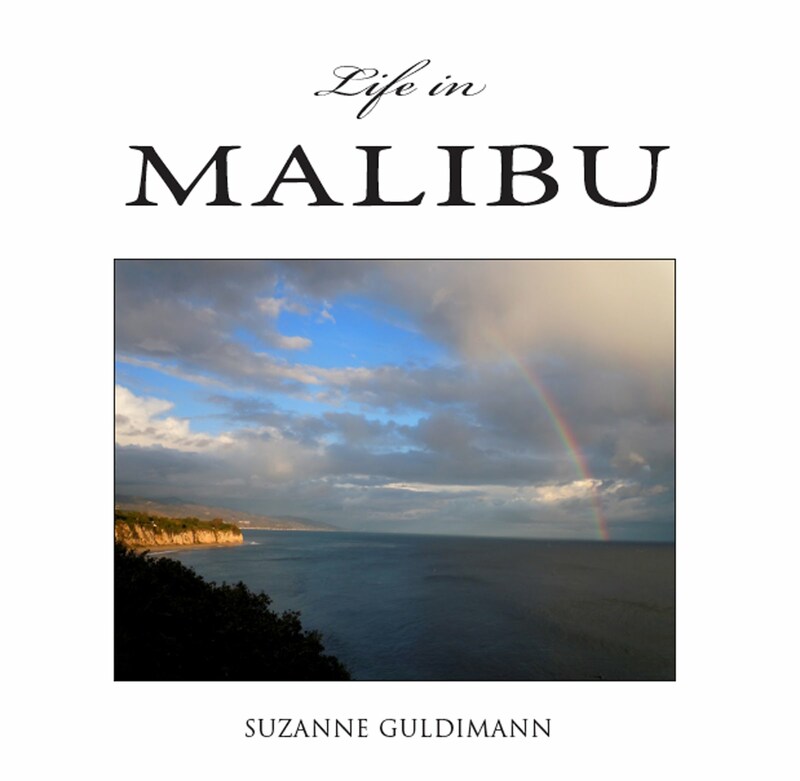 "Proposals in the works include an off-shore causeway to carry the freeway, a nuclear power plant and a marina...no constructive thought has been given to preserving Malibu's rural charm and at the same time providing large blocks of open space for future generations. Planning for the area seems topsy turvy." That may be the understatement of the past century. But the author was wrong on at least one major point. Constructive thought was being given to the future of the coast, just not by the developers. Take the name Malibu out of the article and it could have been just about any coastal town—San Clemente ended up with the nuclear power plant in its backyard, Marina del Rey and Oxnard got the marinas. The causeway mercifully sank under the weight of engineering costs, but the struggle against coastal exploitation was going on everywhere. 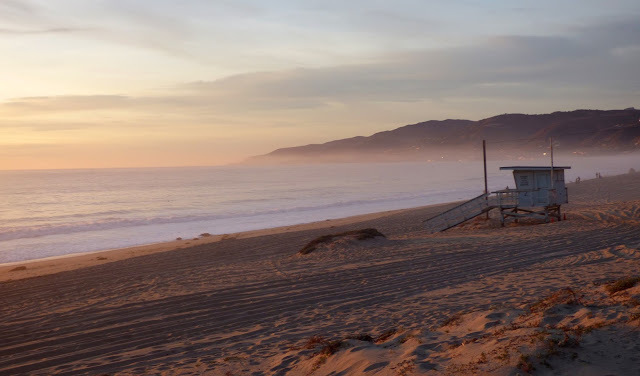 Things could be a lot worse in Malibu, but we still face issues that require Coastal Commission intervention, like enforcing beach access, protecting public views, finding ways to cope with coastal erosion and sea level rise, and protecting open space—problems that are too big for our city, or any coastal city, to manage without oversight. The L.A. Times article stated that Los Angeles County Superintendent Burton Chase, and his deputy for the Malibu area, Robert Potwin, "Admit they look to the chamber and the realtors for guidance on community affairs," instead of to the residents or the public. That attitude and the push for insane projects like the freeway through Malibu Canyon, fueled the battle for a separate Malibu city, enabling this community to eventually charter its own future to some degree, but we still need the Coastal Commission to help us meet our goals and keep us on track. That's why it's so important to have a Coastal Commission executive director who serves the Coastal Act, not the lobbyists. Like communities up and down the coast, the city of Malibu needs a fair, unbiased Coastal Commission to help it meet the goals of its mission statement and the requirements of the Coastal Act. If a pro-development climate has truly begun to pervade this agency in the way the Los Angeles Times article suggests, then maybe it's time to take a closer look at the six elected officials who sit on this panel. For those of us in the South District, that's Long Beach City Councilmember Roberto Uranga, but the full list with contact info is available here. A gentle reminder that the executive director isn't the only official who can be removed might be timely. If energy and other development interests are given control of the agency that enforces that act, it's a loss not just for the people of California, but for the global fight against over exploitation of natural resources. The executive director's fate will be decided on February 9, at Coastal Commission hearing in Morro Bay. There's also a Change.org petition in support of Lester. "Save Our Coast" was the slogan for the signature-gathering effort to put the California Coastal Act on the ballot, and it's still a relevant rallying cry.